Yes, I knit myself a flat cap. I rarely even wear hats! Yet I sort of adore this one, mostly because of the absurdity. 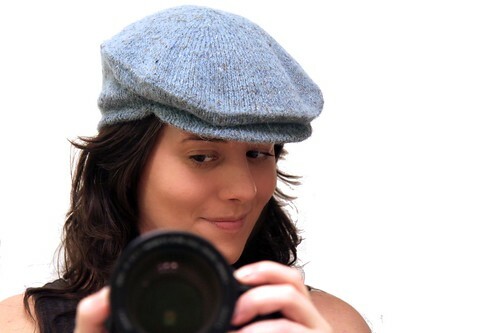 But outside of the absurdity of knitting a flat cap, I think it's pretty awesome. Notes, additional pictures and random rambling are here on Ravelry. I'll admit, I'm kind of thinking of doing a second one in a more summer-appropriate yarn. So nuts! Cute - I love it. So you! Probably be good for Alaska! That was exactly my thinking! It won't be cold enough for my ear flap hat or other wooly winter hats, but a little bit of heat retention would not go amiss!